BW’s tightly synchronised dancing in this routine was just one of the many things that made Dancefest 2015 one to remember. 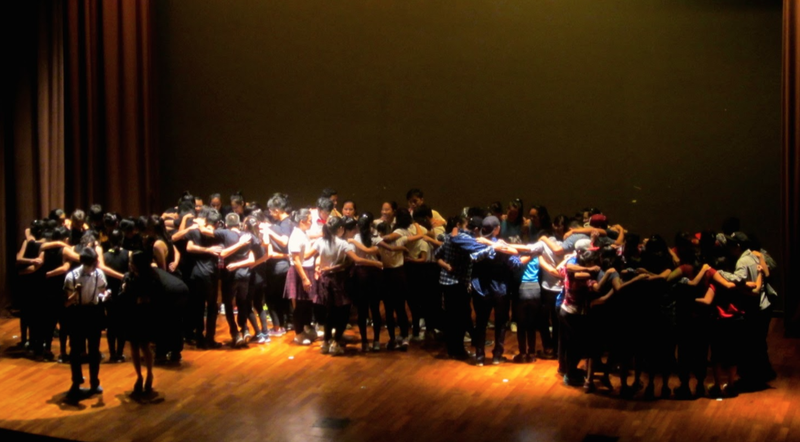 Dancefeste is arguably the most highly-anticipated Feste in Inter-House Competition (IHC) Remix, and thus it was unthinkable that it was very nearly called off this year. Nonetheless, the show went on, helmed by a group of members from the Song and Dance (SnD) committee of Orientation 2015 — a major change from previous years when one of the school’s dance CCAs would take it up. To the disappointment of avid Dancefeste supporters, however, a ticketing system was implemented this year. If you were at last year’s Dancefeste, you would be lucky to find a seat among throngs of eager, sweaty-from-training Y5s and 6s, packing the auditorium, even resorting to taking seats on the floor. A member of the organising committee told us that the ticketing system was to prevent Dancefeste from once again turning into a giant fire hazard. Unavoidably, this disappointed some as they were unable to support their friends, while others lamented that the decrease in numbers made Dancefeste less “hyped”. To address these, alternatives have been thrown around, with a popular suggestion being that Dancefeste be held in the MPH next year. The organizing committee of Dancefeste will be recommending their juniors to consider this for next year’s IHC remix. It must be acknowledged that organising such a massive event is no mean feat. We certainly owe the organising committee due credit — the complexity of the logistical and administrative work that goes into Dancefeste is something many fail to appreciate. To quote Choong Ting Wei (15S06Q), a member of the organising committee, they had to “coordinate … split the different logistics to different people … and find ways to cater to each house’s performance”, — not an easy job since they had to consider many “different elements such as the different light settings and props”. Furthermore, “it was really hard pushing through the idea of an informal, independent student interest group organising such a large school event”, but in the end, it was worth it. 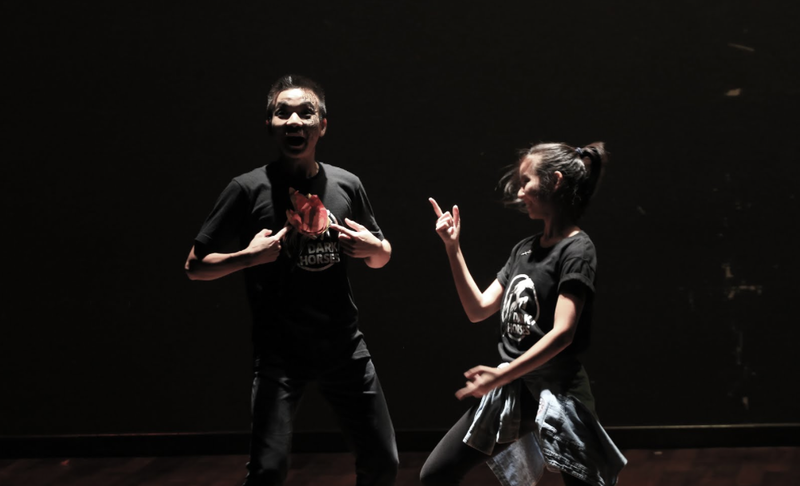 As Ting Wei shared, their “passion for dancing and [the fact] that [they] couldn’t let one major Feste just disappear … just because no one could organise it” was their ‘fire within’ for IHC Dancefeste. They certainly did their best despite the odds. When it comes down to it though, Dancefeste is ultimately about the spirit of dance. Ticketing issues were the least of peoples’ concerns as stories of cheese tofu dreams, ‘Lepak corners’, resurrected robots, phoenixes calling, and teenage romance unfolded on stage. As insensible as these may seem when put together, they were the themes that the houses led the audience through their dance numbers with. With teams given only a week and a half, hardly any time was available for them to prepare. That being said, each item was entertaining and impressive in its own right. BB was first up, their dance number surrounding the concept of two teen dance crews fighting over a ‘lepak corner’. They chose costumes that were not typical of a Dancefeste team, with none of the dancers wearing green but instead red and blue. The energetic item drew laughter from the crowd with its comedic elements and unashamedly cheesy acting, and wowed the audience with unconventional segments and moves. Their unique use of the theme song from “Bob the Builder” was heralded by judge Ernest Yee as “very, very entertaining!”. And just as BB’s routine showed how the red and blue dance crews eventually came together to fight for a common goal, the spirit of unity and fun of BB was summed up nicely by the judges who liked their “teamwork, and how [they] communicated with each other through dance”. Their last-place may have been viewed as undeserved by some, but in the end, that mattered not, as they simply enjoyed themselves. As a BB dancer, Samantha Rabino (16S07A), put it, the “sense of satisfaction of working together, putting everything together, overpowered the news … when they announced [the results], we just started laughing like ‘woah … top five, congrats!’”. BW’s dancers definitely had a blast onstage that night! BW came next with a wacky storyline involving cheese tofus. Their item showed off a technically solid performance – praised for being “very, very in sync” by the judges, further confirmed by dancer Nicole Yap (16A01E) who told us that “training synchronization was one of the most tiring parts”. Their impressive performance was testament to hours of work put in, and clearly showed their passion for dance. 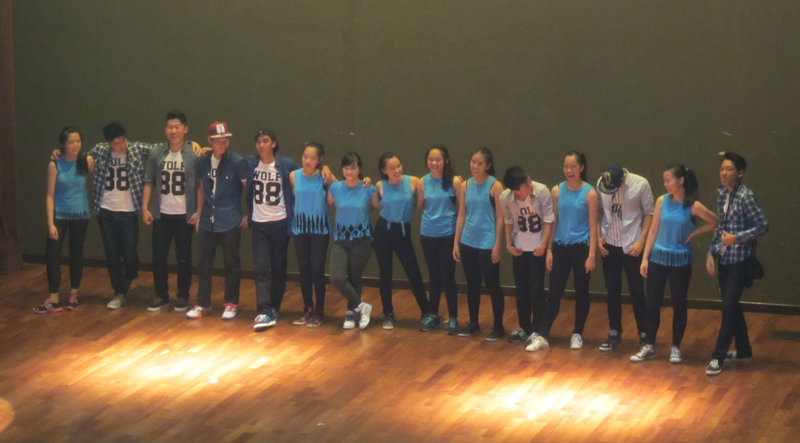 Their coordination was even more stunning when you consider that teams were formed “12 days before Dancefeste, but we effectively only had about a week of practice due to CNY”, as Samantha Ng Hui (15S06S), a dancer for BW told us. Despite this, Nicole shared that what kept them going was “love for doing what we love, and also house pride! Especially for the Year 6s because they have exams too. It was tough on them. ” In the end, BW claimed 3rd place, but for the team, their path to that end mattered more. “You end up remembering the smallest things, like late night pizza parties and Chill raids,” said Samantha. For BW, what they will treasure in years to come is not the award, but the memories and friendships formed through their time together. HH was next – darkest of all the Houses’ items, the first scene’s realistic ‘hanging’ caused one judge to later cry out that he “nearly died”. Despite the item having many small groups (most notably differentiated by gender) performing on stage at different times, the transitions were smooth and very well pulled off, with the judges liking how they “flowed here and flowed there”. Matching shirts also added to their ‘cool’ factor. This team was the only team to print matching shirts, and team member Danson Lim (15S03R) tells told us that they wanted “something material to take away from this year to remember the team and bind us together”. Overall, HH’s use of the stage was impressive and the item as a whole very innovative and entertaining – many agreed that they fully deserved their 2nd place. This was in spite of their music cutting off towards the end of their item. When that happened, Danson recounted that he “was lost for a moment, but someone in the team started singing and I got back on track again”. In fact, the technical problem was so well handled that the judges even thought it was “scripted”. Danson also shared that they faced other problems like how the “choreography had corrections down to the last day”, but in the end, HH put up a strong performance despite those odds. The MR dancers after their performance – tired, but happy. MR used a clichéd but easy to follow storyline of boy-chases-girl, with an MR dancer who declined to be named sharing that they mixed elements of “joy, regret, romance” into the item. They started off with a toe-tapping Hairspray segment but also included many other genres of dance, one of the most impressive being pairwork, with the judges gushing that “[their] partnerwork was amazing.” The judges also praised how the energy of the dancers shined through. “At the end you all [were] supposed to get more tired, but then you all smiled even bigger … I felt happier watching you all.” said judge Ernest. This was echoed by one of the Year 5 MR dancers, who said, “Usually during practices, I get so tired from the routine, but that night I didn’t feel tired at all performing.” Eventually, MR faced synchronisation and cleanliness issues and placed 4th, but this did not matter so much to the dancers. Before the results, one dancer said she was “quite chill … I [felt] like I gave my best so it doesn’t really matter”. While she did feel “a bit bad that we didn’t win for the House”, what mattered most was how “it just felt really nice that we all came together and managed to bond over something we all love doing”. 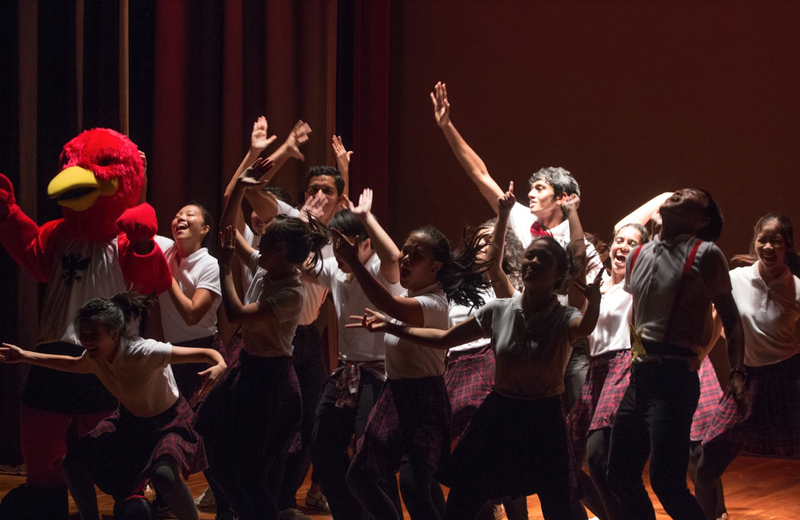 The MT team ‘raving’ during their performance to hype the crowd up – with a cameo appearance by their House Mascot, the Phoenix. 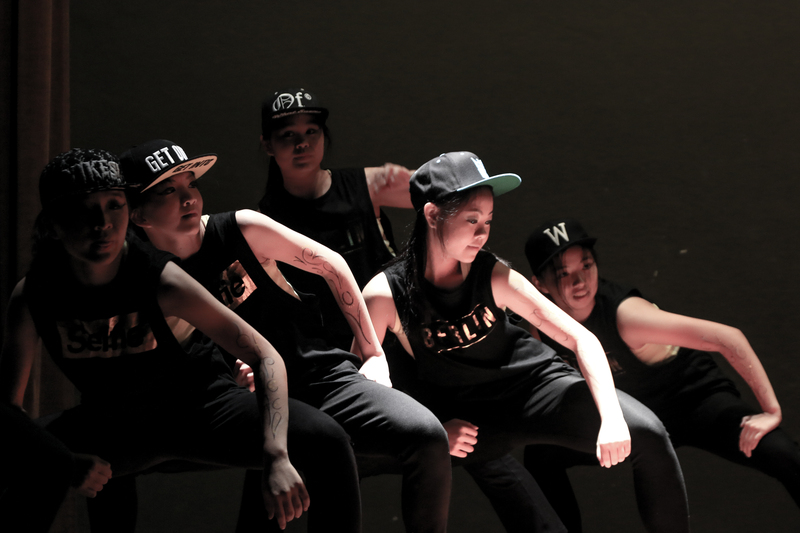 After all the performances, what followed was what one audience member described as “the epic dance battle”, which drew large cheers from the audience as dancers from all houses stepped up to showcase their freestyle skills. It was not what more experienced dancers would define as a proper dance battle, as Danson from Street Dance said, “Dance battles aren’t parties … They have the atmosphere of parties, but I think if it’s called a dance battle then maybe there could be more regulations.” But he did acknowledge that it captured the passion of Dancefeste, with everyone feeling “high and happy”. The other dancers echoed this, with Nicole saying that “it was [her] favourite part of the whole experience, watching strangers and friends do what they love”. The audience definitely felt it too, with one audience member declaring that “Dance is magic!”. So despite some disappointments about this year’s smaller crowd making the atmosphere less electric, most who attended Dancefeste enjoyed it immensely. 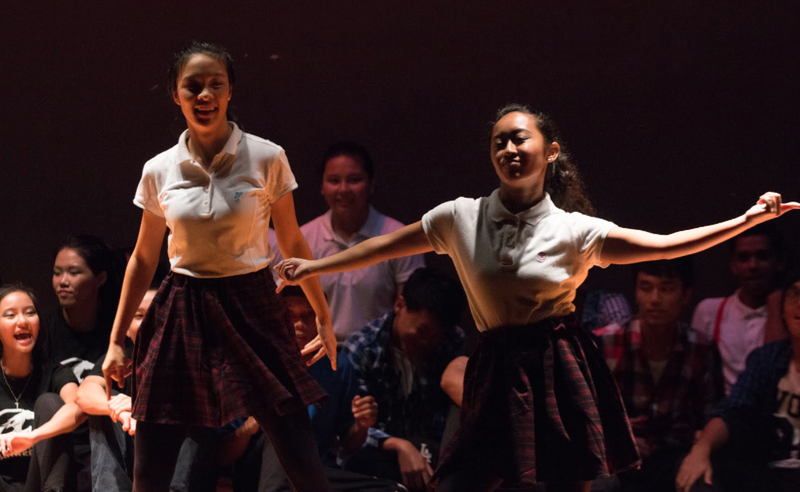 For the dancers themselves, “Dancefeste was a very good platform for people in non-dance CCAs to get a chance to perform, and at the same time do their part for the House,” Mazie shared. 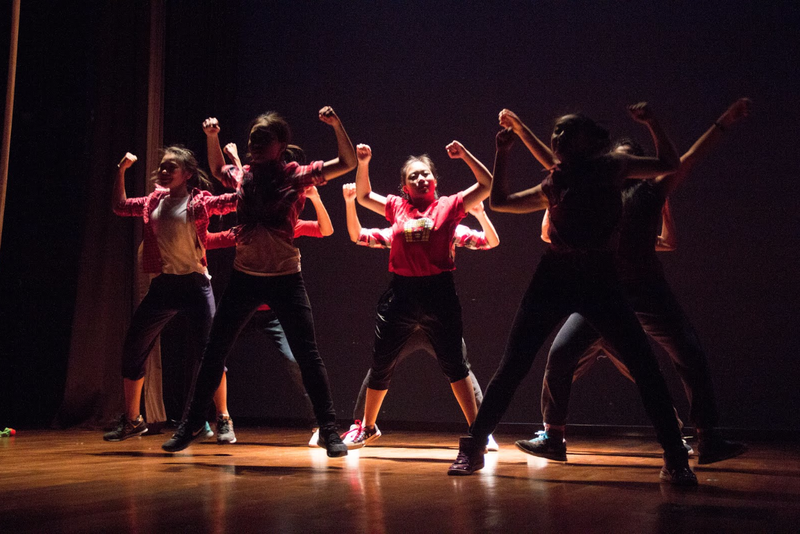 Nicole added that in the end, “… I nearly cried because there was so much shared passion.” Many were definitely impressed, invigorated and fully entertained at Dancefeste, and for them there is no disputing that IHC Remix isn’t the same without Dancefeste.